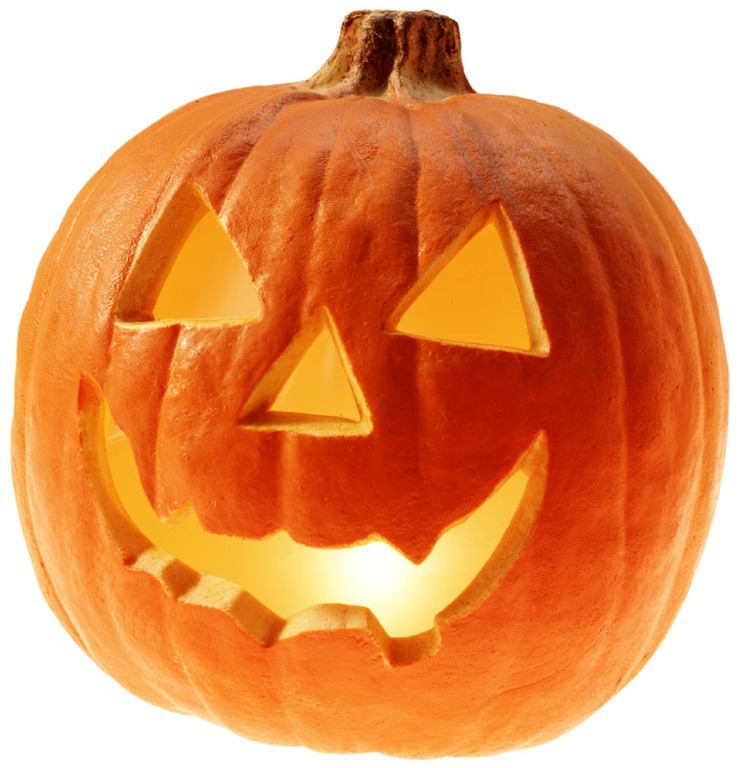 It’s that time of the year again,Autumn, which can only mean one thing…..Halloween. The days of spooky shenanigans, ghouls, witches and gore galore.In our household we love Halloween and all that comes with it including the trick or treating. 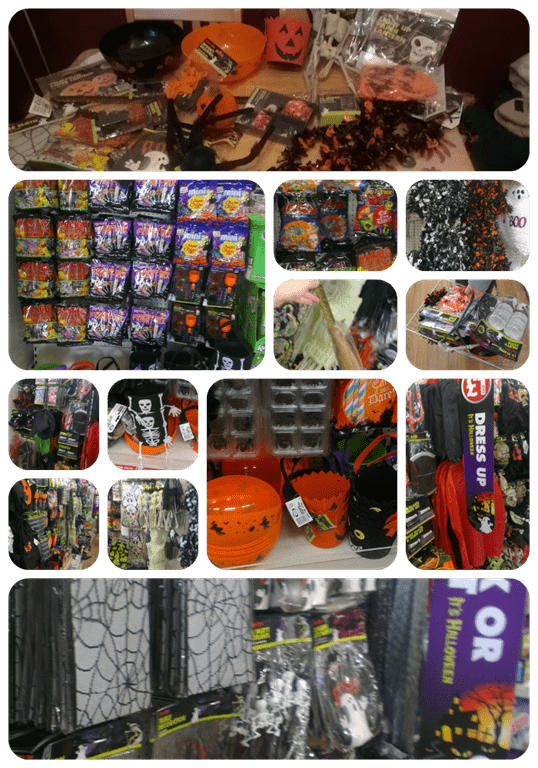 This year we were selected along with 9 other families to become Poundland Ambassadors, now I love a good bargain and Poundland provides me with plenty of them so when we were set our first Poundland Challenge to get into the spirit of Halloween and see what Halloween goodies we could pick up from our local store. It really wasn’t hard to get a little carried away, we ended up buying pretty much everything that we needed in that one little trip to Poundland and filling 3 baskets with goodies. The selection that they had to offer included full fancy dress costumes, wigs and accessories, lights, tableware,decorations, party apparel , lots of sweets and snacks. We had already purchased a Halloween costume so we had more to spend on our £20 challenge budget. We purchased some great party plates and cups and items to make, decorate and display some spooky looking cupcakes. Lots of Halloween decorations including balloons and creepy cobwebs to make our rooms spooktacular and to finish off bowls and buckets for treats. We had a great time picking and choosing from the selection available, it was harder to choose than we thought it would be. The staff in our local store were great and very helpful, if we couldn’t find anything then they were there on hand to help us and even look in the stock room for other colours of cobwebs. If you’re looking for ways to save this Halloween, from cheap treats for those little trick or treaters to fabulously spooky party essentials, Poundland is the place to go. 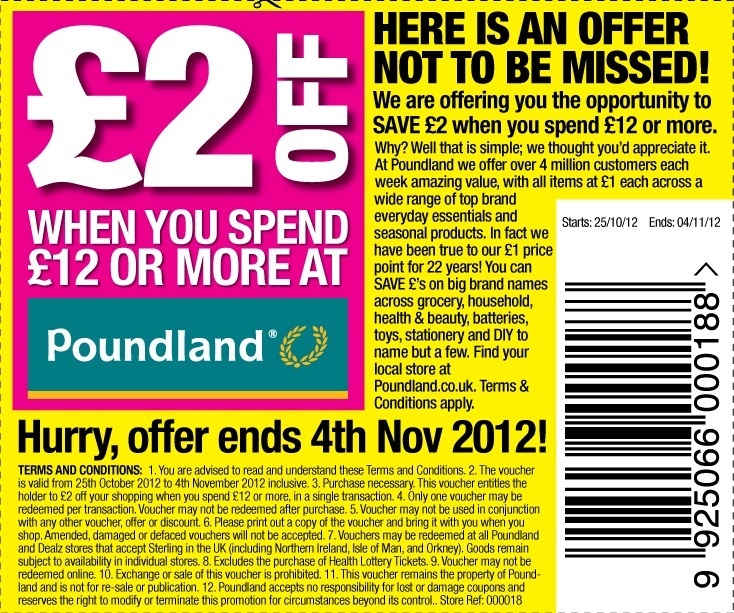 Grab yourself a bargain this Halloween and save an extra £2 when you spend £12 or more in Poundland using the voucher below. Just print it off and take it to your nearest store. Next articleFancy seeing the Cosatto Slim Jim in action?